Many companies, but particularly manufacturers, are removed from their end-users because they sell through multiple third-party distributors and retailers. The complicated nature of their supply chain keeps them from directly interacting with their actual customers, making it harder to understand exactly what their customers want and need, as well as how they act. For these companies, customer relationship analysis can look at various data feeds and provide a valuable picture of customer trends that the manufacturer might have otherwise missed. Customer relationship analytics take on the role of a highly sophisticated marketing department. These tools identify your most valuable customers, group these customers based on purchasing behavior and other attributes, and target them with promotions and sales efforts designed to increase customer loyalty and sales revenue. By understanding the relative value of each customer, you can then focus sales and marketing efforts on the most profitable segments. For instance, for a leading cellular telephone manufacturer, deployment of CRM analytics helps them track previously unseen customers within the cellular telephone market. Without CRM analytics to help, the company only knows a fraction of one percent of the millions of customers who used its products worldwide, as most distribution partners’ data only covers sales figures and regions. The manufacturer needs to better understand the motivations and buying behavior of end-users, not just their distributors, and who the repeat customers are. Using CRM analytics, the company can build a data warehouse to capture data from its ERP system, as well as sales data from partners. Since they are now able to track customer purchasing, the manufacturer might realize that their churn rate is causing the company to lose 12% of its subscribing customers each year. This means that they are spending more than a billion dollars buying back the U.S. market alone each year, which is a billion dollars out of their profit margin. Research by Accenture (formerly Andersen Consulting) finds a direct correlation between customer relationship analytics and business revenues. 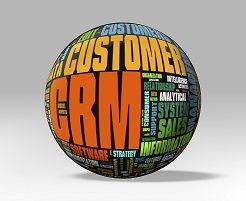 A typical $1 billion business could add $40 million in profit by enhancing its CRM capabilities with in-depth data mining. By working proactively with partners on end-user analysis, the company can focus on evolving into a more consumer-driven organization, and growing their bottom line at the same time. In today’s highly competitive environment, businesses need to better understand their customers, which ones are the most profitable, and how to best retain those customers. Though companies are investing millions of dollars in CRM systems, they are only generating data, and failing to tell the company what the data means. Customer relationship analytics and data mining help manufacturers make better sense of customer needs, help companies manage these relationships more intelligently and help predict the future.